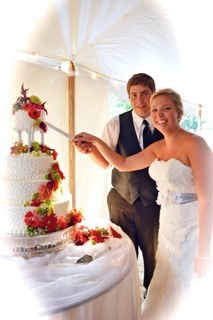 Northern Delights provides cakes for weddings and special events in northern Michigan. Northern Delights and Northern-Michigan-Cake-Decorating.com is a sole-proprietorship operated by me, Deb Cannon. I'm the CEO, chef, accounting manager, and every other position involved in the business. We're talking a one-person operation with a heart, soul and dedication beyond northern Michigan competitors many times my size. I don't get caught-up in profit margins and cost-effectiveness. I get caught-up in making sure that the rose petal on the cake's top layer is settled in just the perfect position. As you browse my website I hope you'll absorb some of the same passion for cakes that I experience each and every day. By the way, a passion for catering to others is nothing new to me. I also owner of Torch Lake Bed & Breakfast - an intimate B & B located on (what National Geographic Magazine has called) the third most beautiful lake in the world: Torch Lake in northern Michigan. I've been dedicated to pleasing the pallets of others for longer than I care to admit. It all began in my mother's kitchen back as a young girl. It's cumulated for years and now peaked with Northern Delights. For more information on my roots, please visit my cake decorating history page. From cake flavors like Cherry Delight and Butter Almond - to fillings including Chocolate Heath Butter Cream Crunch and Banana Butter Cream, I'll work with you to custom-design a unique cake which matches your exact specifications. Forget about the mass-produced, generic this-n-that flavors, I'll create a unique combination of taste specifically tailored to your special event. For more information, view my customized cake designs, flavors and fillings. O.K. - anyone can brag about the deliciousness of their products - and the variety of their selections. Bottom line is that a picture is worth a thousand drools. My photos aren't air-brushed versions of model-perfect cakes surrounded by satin sheets and expensive lighting treatments. 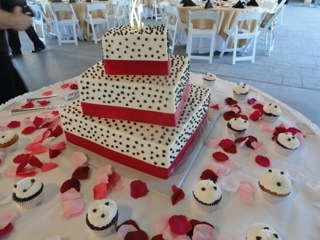 They're actual photos taken of cakes I've made and decorated for real-life clients hosting weddings and special events in northern Michigan. Grab a napkin, paper-towel or other saliva-obsorbing material - and prepare yourself for real photos of cakes I've decorated. From whimsical to traditional Northern Delights strives to please not only your eye but, more importantly, your pallet. We always use the finest ingredients in each of our creations to produce the most scrumptious cakes and creamy delicious buttercream frosting you'll ever taste. 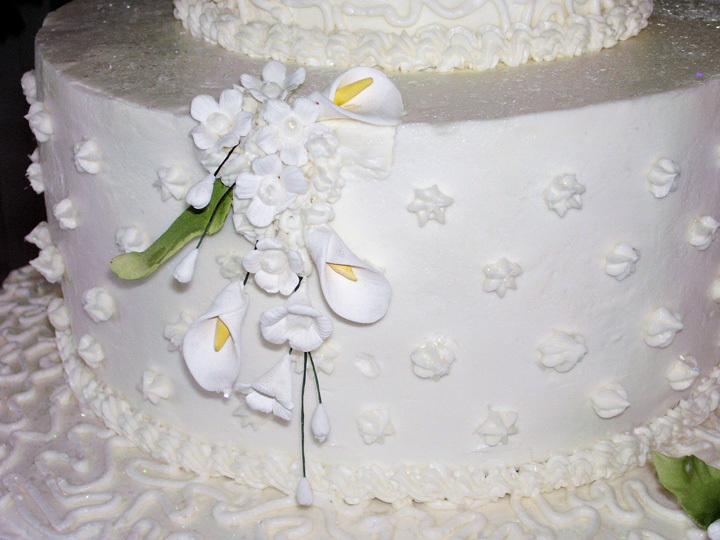 It will be an honor for Northern Delights to partner with you and create the perfect wedding or specialty cake for your memorable occasion of a lifetime. Please consider contacting us for a private tasting and consultation. Call me to make an appointment for a complementary wedding cake consolation - including a tasting! Don't need a tasting? Placing an order can also be as easy as a phone call to (231) 599.3400 (Monday through Saturday from 9 am to 5 pm).